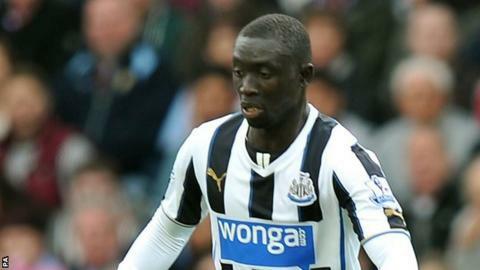 Newcastle and Senegal striker Papiss Cisse faces a long spell on the sidelines following a knee operation. The 28-year-old suffered the injury during his club's 2-1 Premier League home defeat by Swansea on 19 April. Cisse, who has scored only four times all in competitions for the Magpies this season, underwent surgery on a fractured patella in Paris on Thursday. A statement on the club's official website said: "He is expected to be sidelined for a number of months." Newcastle added that Cisse "will spend his rehabilitation at the Clarefontaine Medical Centre before returning to Tyneside for an assessment by the club's medical staff". On Sunday Newcastle travel to Liverpool for their last game of the season and could have an influence on the destination of the Premier League title. Liverpool sit in second place in the table and need a home win coupled with a defeat for leaders Manchester City, who host West Ham, to clinch their first top-flight crown for 24 years.